The 2013 Diageo Baileys Irish Champion Dairy Cow Competition is now open to entries from farmers from across the island of Ireland. The competition, which is sponsored by the makers of Baileys Irish Cream, Diageo, in association with its cream supplier, Glanbia Ingredients Ireland, celebrates its 30th anniversary this year. It will take place at the Virginia Show Co Cavan on 21 August with an increased total prize fund of €10,000. 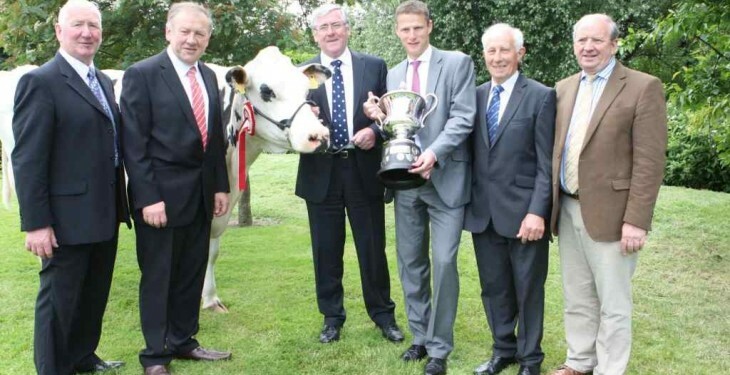 The winner of the top title will receive a cheque for €2,500 and the Virginia Milk Products trophy. €1,000 will be awarded to the breeder of the ‘Reserve Champion’. There is also a Best Heifer in Milk prize fund of €1,700. 1st place attracts a prize of €500, 2nd place will be awarded €300, and €200 will go to 3rd place. In addition, €100 will be awarded to entrants from 4th to 10th place inclusively. Trophies will be presented for Highest Protein Content, Best EBI and Best Exhibitor-Bred Cow. The special awards for Best Protein and EBI emphasis important factors in milk production. 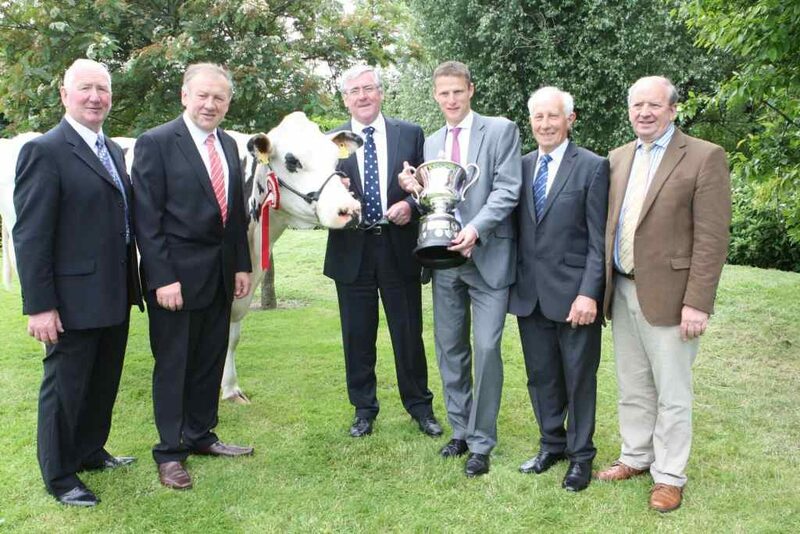 Pictured at the recent Launch of the Diageo Baileys Irish Champion Dairy Cow Competition were from left: Sean Farrelly, President,Virginia Show; Martin Tynan, General Manager, Glanbia Ingredients Ireland Ltd. Virginia; Minster of State for Agriculture Tom Hayes TD; David Smith, Country Director, Diageo Ireland; John O’Flynn, President, IHFA; and Brendan Smyth, Competition Director.